The GSM 3G 4G M2M RTU is a multi I/O port remote terminal unit. It is special for BTS monitoring, remote data acquisition, telemetrically, BTS access control and other applications. It supports voice communication, SMS, GPRS, 3G communications. The GSM 3G 4G M2M RTU can be used as remote access control; the authorized users can open the gate or turn on the machine with a free charge call at specified time. 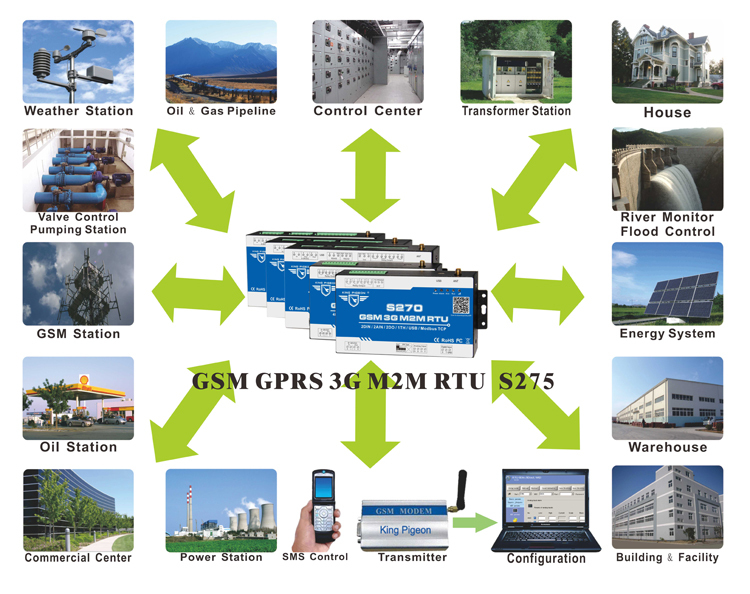 The GSM 3G 4G M2M RTU supports Modbus TCP, TCP/UDP protocol, transparent data transmission over GPRS/3G, performs as Modbus Slave. 1. *C stands for inbuilt module is CDMA2000. *W stands for inbuilt module is WCDMA. The GSM 3G 4G M2M RTU is a multi I/O port remote terminal unit, through the RS232/485 port can connect intelligent meters or PLC. It is special for BTS monitoring, remote data acquisition, telemetrically, BTS access control and other applications. It supports voice communication, SMS, GPRS, 3G communications. 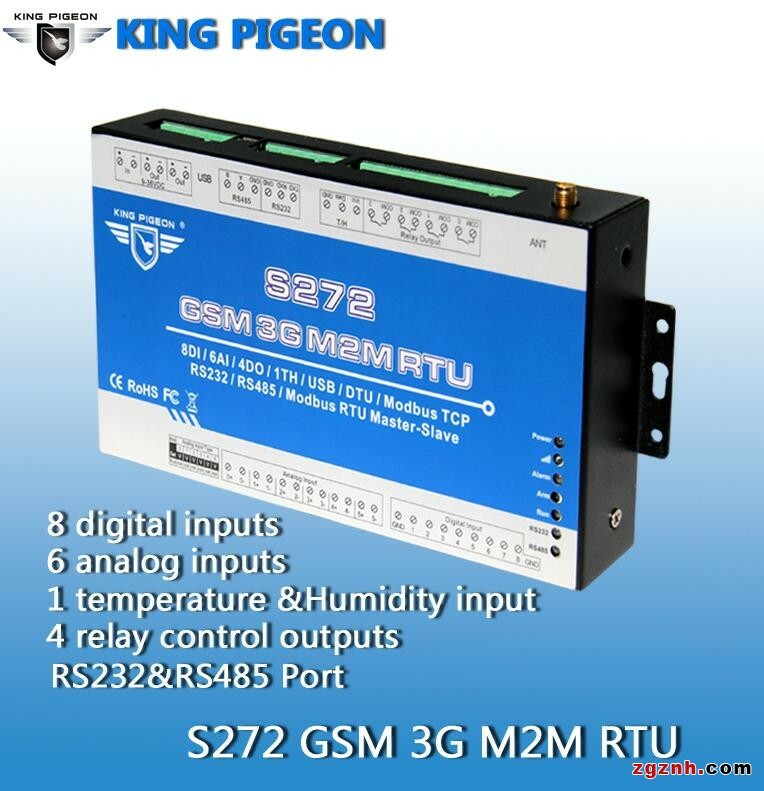 The GSM 3G 4G M2M RTU supports Modbus TCP, TCP/UDP protocol, transparent data transmission over GPRS/3G, performs as Modbus Master or Modbus Slave. The RS232, RS485 can be used as transparent data transmission of PLC or intelligent meters. B: Through GPRS or 3G to OMC, the protocol is defined by user of personal. C: Through GPRS or 3G or RS232 or RS485 to standard SCADA systems. Under this condition, the RTU performs Modbus Slave. D: Through SMS to control RTU or receive alarm information, or through voice communication to open the door or receive alarm calling.